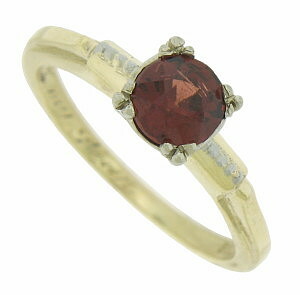 A deep hued garnet is the focus of this vintage 14K yellow gold ring. White gold milgrain and center mount adorn the golden surface. 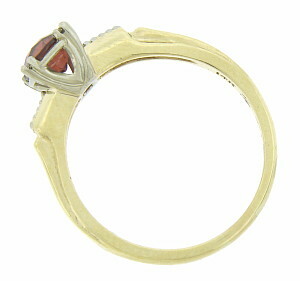 The ring measures 5.94 mm in width. Circa: 1940. Size 7. We can re-size.